"The Basics of Selling on eBay " course is from actual course curriculum developed by eBay and available at eBay University. 3 hour introductorycourse and an 8 hour comprehensive hands-on course is available. This eight (8) hour “The Basics of Selling on eBay" course is a one-day eight (8) hour hands-on comprehensive course is conducted in small PC Lab classes (4-6 students). Students have their own PC workstation. It is the same "The Basics of Selling on eBay " curriculum developed by eBay, and available at eBay University, which teaches you how to buy and sell like the pros. This course is great for the beginner or the experienced eBay user who wants to take his knowledge in sales at eBay to a higher level. The complete course cost is $149.00 (includes workbook). Search keywords - how important are they? NOTE:You should be able to browse the Internet before enrolling in this course. Beyond The Basics course is a one-day eight (8) hour hands-on comprehensive course is conducted in small PC Lab classes (4-6 students). Students have their own PC workstation. Auction Techniques for the Serious Seller. selling tips, benefits of having an eBay® store; being a Trading Assistant; eBay business and marketing introduction; eBay® listing, sales and management tool insights; how to best use the skills presented in The Basics of Selling on eBay® course; and much more. of eBay & Internet Business education in a week. All eight courses are hands-on in PC Lab. Each student has their own PC workstation. Includes all workbooks and materials for the week. Hotel accommodations, travel, meals not included. Inquire Early - Seating Is Limited! Many Internet businesses never attain the success they seek, because they do not know how to turn web site visitors into customers, and then keep them. This course is conducted in two (2) two (2) hour hour web training sessions - you can attend via live Web Conference Training (Webinar) from the comfort of your home or office. The complete course cost is $249.00 (includes training materials). Learn how to communicate effectively with your web site visitors and customers; how to capture your web site visitors information and convert your Web site visitors into bonafide leads; turn your leads into customers; create and maintain long-lasting relationships with your customers; generate customer referrals and repeat business; and grow your customers and your customer base. Ideal for the newer sellers at eBay® who want to build a business storefront at eBay®, as well as the experienced eBay seller who wants to take their sales to a higher level. This three -hour course is also helpful for current eBay® Store owners who want to utilize best store sales and marketing practices. This course is conducted in one (1) three (3) hour web training session - you can attend via live Web Conference Training (Webinar) from the comfort of your home or office. The complete course cost is $99.00 (includes training materials). Some aspects of the course include how to: Opening an eBay® Store; determining which store subscription is right for you; help you understand costs and be able to reduce your expenses in selling at eBay®; your own personalized store setup - customizing your store the way you want it, eBay® store linking and policies; creating effective keyword store categories; using your store marketing tools to increase your sales; understanding your store traffic, your target market, and how these impact sales; understanding your tracking reports, and much more. Course includes Q&A session, and digital information guide sheets. Learn how to source products to sell on eBay® and in your own online stores. How to spot sales trends early, and determine the hottest selling products and then source them without investment, how to dropship and find local sources for products with no investment, and much more. How to find and source products that will make you a profit; determining the type of company to source from. Course includes: Question and answer session, information guides, sourcing product checklist and other hand-outs. The AuctionInstructor.com Internet Business Education Institute offers specialized educational courses in starting, operating and growing an eBay or Internet business. Starting Any Internet Business [4 hrs] – Learn the steps to start-up a new Internet business, or transform your existing physical business location to a worldwide cyber business on the World Wide Web that can increase your sales revenues and profits. This course is conducted in two (2) two (2) hour hour web training sessions - you can attend via live Web Conference Training (Webinar) from the comfort of your home or office. The complete course cost is $199.00 (includes training materials). This four (4) hour comprehensive Internet Business course focuses on entrepreneurship as well as pre-planning, organizing, and step-by-step setup and operation of your new online business, including: what you can do, different ways you can sell online, how to best prepare yourself to be a successful seller, and starting your new online business using the best practices. Avoid the costly mistakes made and grasp important key business startup aspects -- this course is indispensable. Legal considerations – What type of business can you be / which might be best for you? Avoiding some of the pitfalls - common, and sometimes costly mistakes often made. Auctions vs. Online Store. Which might be the best for you? Where and how to get started? How do you find and purchase products to sell online at auctions and/or in your online store? Handling billing, payments, and product returns. What’s next after the sale is complete? Online and other marketing methods – which methods might be best for you to use? Q&A Session, get answers to your questions! This eight (8) hour comprehensive Internet Business course focuses on entrepreneurship as well as pre-planning, organizing, setting up and operating an eBay business. This course is conducted in four (4) two (2) hour hour web training sessions - you can attend via live Web Conference Training (Webinar) from the comfort of your home or office. The complete course cost is $249.00 (includes training materials). Before you start an eBay business - you need to know more about business fundamentals, what eBay is, what you can do at eBay, the ways you can sell, what to sell, and other factors to ensure your success. This course will give you information on how to best prepare yourself to be an informed business owner, a knowledgeable online seller and start and operate your eBay business using the best tools and business practices. Creating, organizing planning, your Business name, the key fundamentals for your eBay sales business, your domain name. Legal considerations – The different forms of business, what type of business can you be / do you want to be? Product and market research at eBay. What will sell? What will you sell? When should you sell it? How to find/buy products to sell at eBay auctions and your store. Drop shipping. Key business aspects and considerations of buying and selling at eBay - Feedback. Q&A Sessions. Answers to the questions you have! Web-based training on the most powerful web-based/desktop Internet business/auction management system - Vendio Complete. Learn hands-on how to use one of the most powerful automated management systems to easily manage your product inventory online, create and manage eBay store and auctions ads, streamline your sales, customers, payments, shipping, feedback, fee refunds, customer communications and more. This course is conducted in five (5) two (2) hour web training session - you can attend via live Web Conference Training (Webinar) from the comfort of your home or office. The complete course cost is $495.00 (includes training materials). In learning this Management and Internet Business Operations System you will learn how to easily control and manage high volume Internet sales in multiple marketplaces (i.e. 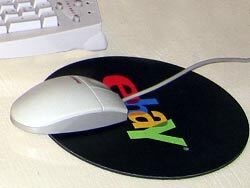 eBay, Yahoo, your own Internet web store) and advertise your merchandise on eBay.com, Yahoo.com, Amazon.com, Shopping.com and other Internet marketplaces. Learn how to be successful in obtaining free qualified traffic to your website or Internet store. How to create effective Internet product ads and keyword optimized Web site pages that get found by search engines; how to successfully use email, search engines and other forms of powerful Internet marketing. This course is conducted in two (2) three (3) hour web training sessions - you can attend via live Web Conference Training (Webinar) from the comfort of your home or office. The complete course cost is $99.00 (includes training materials). Learn how to bring high traffic to your web site like the experts do. In this course you will find out how to locate what the most popular words people are using in the search engine to find your products; you will know how to find out what your competition is doing, and what they are paying for their Internet keyword campaigns, and how you can beat the competition. Find out how to save advertising money while being more effective at getting the free traffic you want in order to get the sales results you want. Join us at College of Central Florida for these informative public information events. Free Community Workshops are conducted on how to transact your personal business, browse the Internet, and buy safely on the Internet and at eBay, how to avoid Internet and eMail scams, and how to protect yourself against mail, phone and personal scams. These free Buying On eBay Workshops are being presented as a free community service by AuctionInstructor.com, and are sponsored by local businesses in the community. Join us for these FREE workshops that include take-home handouts, hands-on,Q&A session, and more. Learn how to register, search, browse and buy, and pay at eBay. and how to compare prices for the best deals. Learn how to use Help, Live Help & sign up at the eBay Community, how to find information you are looking for. Learn about the automatic and optional Buyer & Seller protections that are available, and how to use them, more. how to avoid Home Business Scams, Identity Theft, eMail and Internet Scams and more. Instructor was excellent. Not only has the book theory, but has the actual experience of really doing the eBay business. Toms use of a hands-on approach added interest and usefulness to the class. His hints and tips were invaluable. This class was by far the most important, informative, exciting class I have ever taken. The fee was an extremely small amount to pay for the volume of information received. Tom Burke kept it exciting because his love for what he teaches and eBay are hand in hand with his life. Tom Burke was very helpful and clearly loves eBay. He simplified the process of buying & selling on eBay and motivated me to learn more. I signed up for the hands-on course. Workshops include hand-outs & Q&A. To schedule a Free Buying on eBay Workshop in your community contact us! Want to bring excitment into your classes? AuctionInstructor.com now offers on-site eBay Auction Selling & Buying seminars and training classes. To make arrangements for us to bring this timely and informative training directly to you, contact us today! Tom Burke kept it exciting because his love for what he teaches and eBay are hand in hand with his life. He truly lives, works and eats eBay! I was lucky to have him as a teacher and plan to attend other classes as soon as possible. You just love your work. And there is definite "power" there. When you lit the candle, it burned throughout the whole day. The class was very informative. It gave a clear overview of eBay and how to use it. Fantastic!!! Tom is great, very knowledgeable and a great teacher. Well worth many times the price. eBay.com, eBayMotors.com and PayPal.com is claimed. Other designated trademarks and brands are the property of their respective owners.